The I Do Magazine Wedding Awards Ceremony was held at Sheffield City Hall, on Tuesday evening May 17th 2016, as a prestigious event, recognised through votes cast by bridal couples who had used the services of wedding suppliers, and had held their wedding receptions at participating venues. 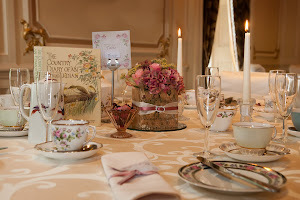 Best Wedding Venue in Derbyshire & Nottinghamshire. One of the greatest aspects of this award is that votes were cast by bridal couples who had held their wedding day at Ringwood Hall Hotel, and to have so many happy and satisfied brides is a testament to the service we provide in planning towards the wedding day, and the operation of the wedding day itself. 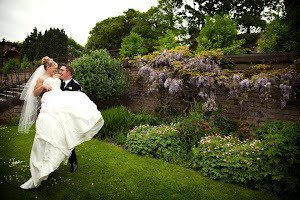 More great news, is that Ringwood Hall Hotel’s next wedding showcase is on Sunday 5th June between 2-5pm! With free admission and parking it’s a wonderful opportunity to view the exquisite licensed suites, the fabulous four posters and feature bedrooms, plus of course our stunning summer garden marquee, all part of the Best Wedding Venue in Derbyshire and Nottinghamshire! The following Sunday 12th June we also have our first Asian wedding showcase in the marquee only between 1-5pm, with free parking and admission and the perfect opportunity to see our cultural wedding solutions first hand. We would love to see you there. If you can’t wait for June, our wedding team offer daytime, evening or weekend appointments to view, simply call our wedding team on 01246 280077. The team at Ringwood Hall Hotel would like say a massive thankyou to all our bridal couples who voted for us in the I Do Magazine Wedding Awards – we really appreciate your support. Thank you. We were lucky enough to see the Summer weather come last week, but it didn’t last long did it? Yet, the bad weather wont dampen our spirits, or that of our wonderful bridal couples who are looking for that special wedding venue! The next date for your diary for our June Wedding Showcase is on Sunday 5th June, between 2-5pm – as always, with free admission and parking. Come along and see our fabulous summer garden marquee, or if indoor weddings is your preference, visit our splendid licensed suites in our Main House finished in exquisite period décor and set within a traditional wedding vibe, suitable for your wedding style and theme. On the day you will be able to see these set up for both civil ceremonies and wedding breakfasts, while in the Ringwood Suite and Coach House we have several of our closest professional wedding services suppliers, providing a great opportunity to chat to and find out how they could help you with the plans for your special day. While you are here, don’t forget to view our superb four poster and feature bedrooms also! 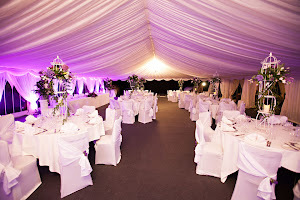 We would like to say a big thankyou to Pretty Petals of Derby for the attached images – who will also be dressing the marquee and their team will be available to meet those attending throughout the day. There is ample parking adjacent to the marquee. Experienced Chef required for busy banqueting hotel, with numerous function rooms, and a residents a la carte restaurant. This position would suit someone with a similar background who can take responsibility for their own section, a minimum of 3 years’ experience would be an advantage. In the first instance please email Sean Oswin, Head Chef on slx771@gmail.com or call 01246 280077 for an initial discussion. Our next delightful Wedding Showcase will be held on Sunday 8th May at Ringwood Hall Hotel between 2-5pm with free admission, parking and refreshments. Despite the snowfall we saw in Derbyshire last week, on the horizon were led to expect a heatwave in the way of British Summertime; what a better time to come and see the delights of our wonderful venue for your coming dream wedding. If a beautiful country house hotel with award winning gardens, is on your hit list – then look no more! Not only is our hotel one of the most renowned across Derbyshire & South Yorkshire, but is also home to some of the most dazzling wedding licensed suites finished in luxury period décor, friendly and considerate staff and of course, our unbeatable wedding packages! During our showcase events, the rooms are set and dressed for wedding breakfasts and civil ceremonies, plus, don’t forget to view some of the most enchanting four poster and feature bedrooms for your honeymoon night to remember your perfect day! *** Complete a registration form at our reception area, to be entered into a prize draw for an overnight stay for two in one of our fabulous feature rooms, plus dinner for two with a complimentary bottle of house wine. Saturday 7th May –– Casino Royale – only £36.50 per ticket. Please call Sara Baker on 01246 280077 for availability and tickets today!